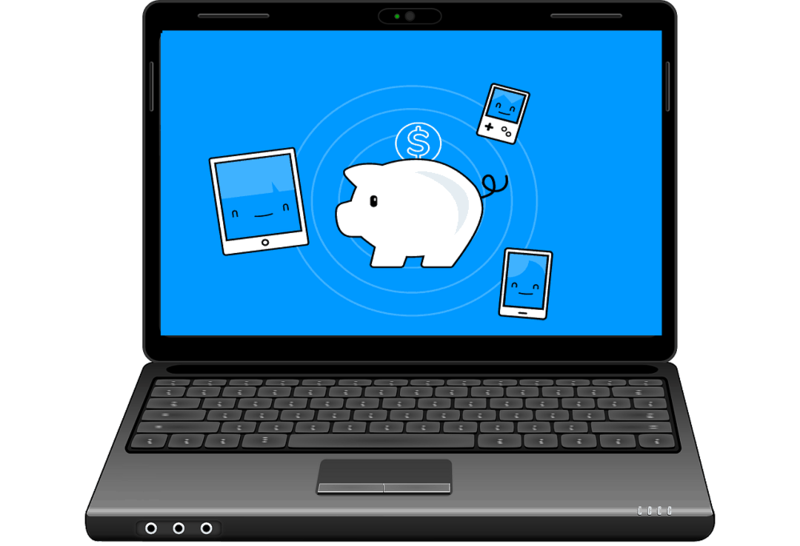 Even though most homes and workplaces nowadays use routers to spread the Wi-Fi signal to multiple devices, there’s always a place for an extra Hotspot. Maybe you’re limited to a single LAN cable, or you want to limit network administrator by creating your own network inside the network ( is networkception a legitimate term?). 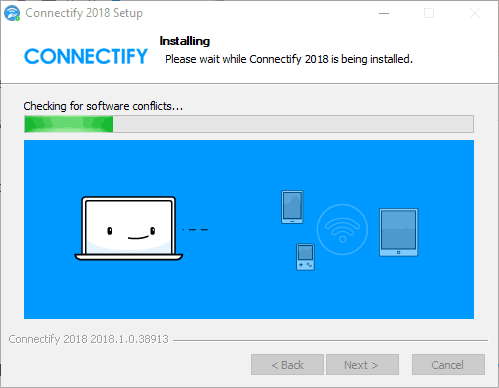 Either way, in the abundance of hotspot solutions for PCs (including built-in hotspot for Windows 10), we concluded that Connectify Hotspot is the sharpest tool in the shed. So, if this got your attention and you’re willing to learn what is Connectify Hotspot and how it works, make sure to check the in-depth explanation we provided below. 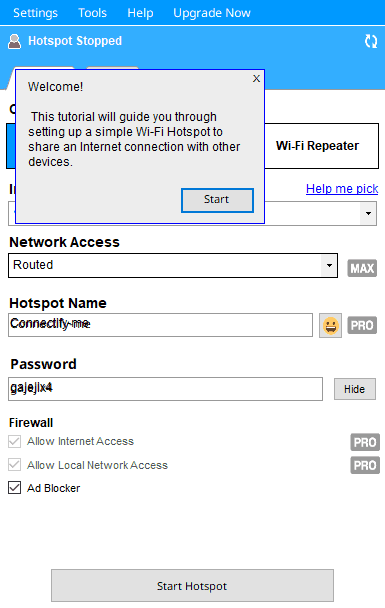 Connectify Hotspot is, as you can conclude on your own, an application used mainly for creating a Hotspot. 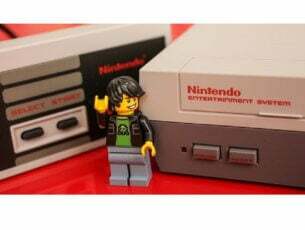 It uses LAN or Wireless connection you already established on your PC and spreads it, enabling other devices to connect as well. Ease of use. The user interface is as simple as they come. 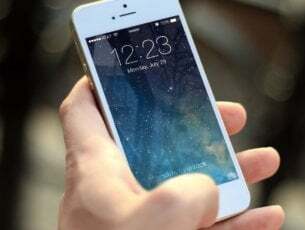 Sharing LAN or Wireless connection. Monitoring network usage for every connected device individually. Multi-language, emoji, and Unicode support for SSID name. Ad-blocker for all the devices connected to a hotspot. There’s more, but the extra features are reserved for PRO and MAX versions of the app. In addition, we must inform you that this tool doesn’t support Windows XP or Vista. So if you’re still stuck in the nostalgia train, you won’t be able to use it. 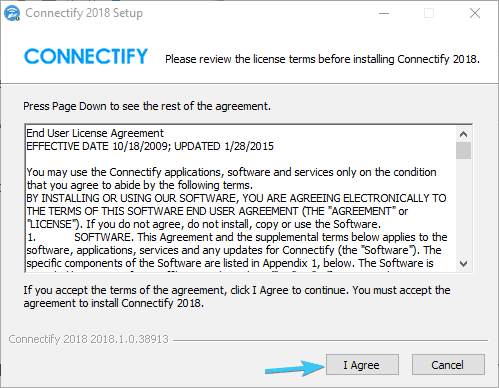 Downloading and installing Connectify doesn’t differ from any standard program. 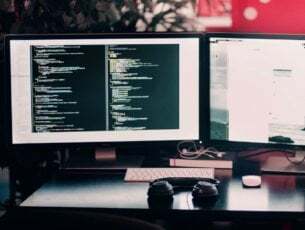 However, in order to avoid possible issues with the system resources, we advise you to run it as administrator and make sure that your network drivers (both WLAN and LAN) are up to date. 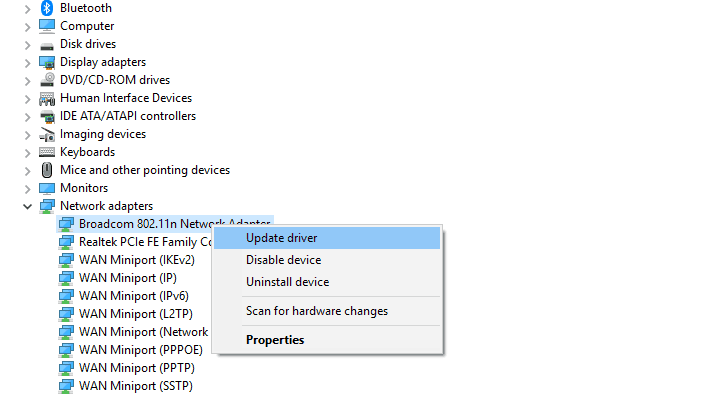 Make sure all drivers are up to date and the device is functioning. 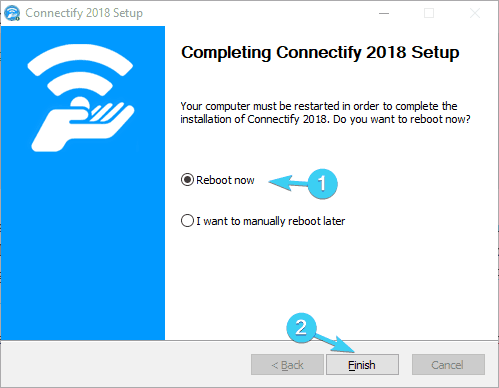 Now, once you’re certain that everything is spot on with the drivers, let’s show you how to download and install Connectify Hotspot 2018. Follow the link above and the automatic download should start immediately. Double-click the setup file to run the installer. Accept the License Terms and wait a minute or so for the installer to finish the installation process. 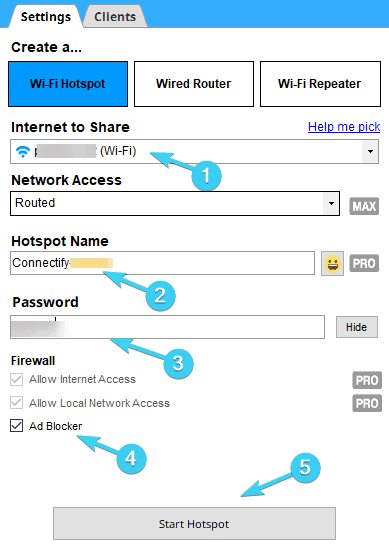 Follow the Tutorial that should help you configure your Hotspot. Or just continue reading and we’ll make sure to show you how to do it. As we already stated, we can argue about the value of Connectify, but the simplicity is more than obvious on the first sight. Some related applications ask you to create bridge connections and meddle with system settings. Not Connectify Hotspot, though. All drivers and accompanying permissions are added within the installation process itself. You should heave easiest of times in creating and configuring a hotspot. Under the ”Internet to Share” drop-down menu, select your active network. Whether Wi-Fi or LAN. In the ”Hotspot name”, add whatever suffix you like to ”Connectify -”. Create the WPA2-PSK password (8-63 characters). Choose whether you want to use Ad-blocker or not by checking the box. In addition, you can open Settings and configure additional tweaks, like disabling/enabling system startup. Every time you’re not certain about something, you can open Help section which should provide you with just enough information to get out of a slump. In our opinion, even the Lite version is good enough for the majority of users. However, if you like the extra features for your Hotspot app, there’s a 70% discount at the moment. You can acquire PRO and MAX versions for $10 or $15, respectively. Let’s wrap it up by saying that the Lite version should give you enough insight on this feature-rich and reliable tool, so don’t trust our words. Give it a go and see for yourself. Finally, make sure to share your experience with us and our readers. You can do so easily in the comments section below.